When it comes to achieving your goals through investing in property you first need a strategy that lines up with your goals. Here is a step-by-step guide on how to create your ideal property investment strategy. 2:29 – Step #1: What is your financial goal? 4:35 – Step #2: Which investment vehicle is going to get you to your goal? 6:27 – Which strategy within that investment vehicle suits you best? 8:52 – Where are you now and what’s your next steps to get you to your goal? 11:11 – What changes do you need to make to implement your strategy? When it comes to successfully investing in property and actually achieving your financial goals by investing in property, you first need to have a strategy that mine’s out with your goals and what you’re trying to achieve. There’s so many different ways to make money in the property market that if you don’t have a clear strategy, if you don’t have clear goals, then you kind of invest in this and that and it’s probably going to take you longer to get to where you actually want to be. So in this episode we’re gonna. Talk about how you can start creating an investment property strategy for yourself. Hi, I’m Ryan from on-property dot com dot EU, helping you achieve financial freedom. 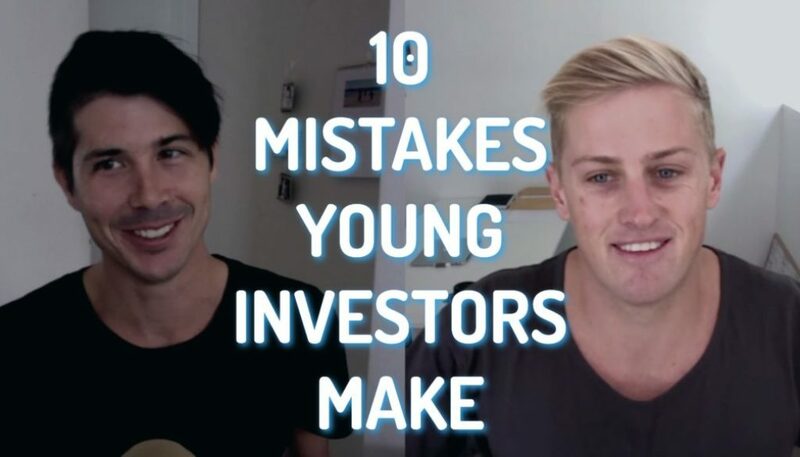 And this video is actually inspired by Ben’s video, Ben Everingham buyer’s agent from pumped on property who I do a lot of stuff with. 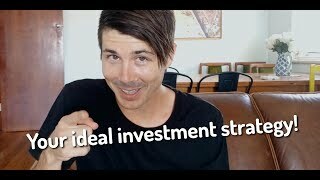 I was watching his youtube channel the other day and he talked about creating a property investment strategy. So I’m going to link up to that in the description down below, but I wanted to give some of my own thoughts as well on how you can do this. I think the way he goes about it is really good, but I think I’ve got some different ideas. So maybe what’s both of our videos and then pick apart what you prefer and you know, take the best from each of those. So creating a strategy I believe is extremely important because when you’re going out to look at investing in property, when you’re looking at the property market, there’s just so many properties out there and there’s a lot of good opportunities out there as well. There’s a lot of duds too, but there’s a lot of good opportunities and it’s really hard to decide what you should be investing in if you don’t already have a strategy. So having a strategy. The reason it’s so important is that when you’re on real estate.com that I knew and you’re looking through the properties, you can instantly look at a property and say, is this, does this property fit into my strategy and is it going to help me achieve my financial goals? So the strategy is there to help you achieve your financial goals. You can instantly plug that property in to say, is this, does this line up with my strategy? If the answer’s no, you discard it because you live in abundance. You know that there’s so many opportunities out there. You don’t need to look at everything, so it’s just a way to filter through properties to find the properties that are most likely going to move you towards your financial goal. So when it comes to creating a property strategy, as you can say, the strategy exists to help you achieve your financial goals. So the first thing you need to do is actually have a financial goal that you are working towards and you need to decide on what that is and that can take some time and that can be difficult because you need to decide what’s important in your life. Is extreme wealth important in your life? Some people set the goal of having x amount of money in terms of net worth or in terms of equity. For me, the goal has always been financial freedom. That I can do what I want with my time and that I don’t need to worry about money. So the idea is that I can live a pretty basic life, a pretty happy life, not poor, but not extremely exuberantly wealthy, but that my bills are paid, that my rent is paid, that I can afford to send my kids to the school that I want afford to pay for groceries and stuff like that. So for me, freedom has always been the big goal for me. So what you decide is your financial goal is up to you. If you’re really struggling at this point to come up with something, then I do believe that setting the goal to replace your current annual salary but passively is a good goal to start with. So let’s say you’re working a job, you’re earning whatever it is that you’re earning per year, chances are you have a pretty good life on that income. You probably rent a place or you own a place you can afford to go on holidays every year. You know you can afford food and that sort of stuff. You have a pretty good life. And so sending the goal to just replace that income, sure you’re not going to be as wealthy as you want to be, but you can live a pretty good life and not have to work, and that then frees up your time to then go and work in a job that you love or to continue working and continue growing your wealth and get to that point of being extra wealthy. But you’re starting there. You’ve got that security, that financial security that no matter what happens, your life is paid for and you can focus on living the life that you want. So if you’re really struggling to work out your financial goal, then that’s an idea for where to start. So once you work out your financial goal, you then need to work out what strategy is going to get me to that goal. Now this becomes a little more complex because you also, you need to look at, okay, what’s going to get me there? But you’re going to have a lot of different strategies that could get you there. So let’s say you decide that financial freedom or replacing your salary is your goal. You could get there through investing in stocks, you could get there through investing in property. You could get there through starting businesses, investing in cryptocurrency, whatever it may be. There’s so many different ways in order to get there, so now you need to start narrowing down your strategy and saying, well, what sort of investments do I enjoy? Do I want to start a business? Can I live with that level of risks? It’s about what do you enjoy? What do you think you’re going to be best at? What is your risk profile? And start narrowing things down from there. This is less of a science and more of an art and more looking at yourself and what you think you’ll enjoy. For me, I love business. I love adding value to the world. I love exploring new concepts are absolutely love marketing, so business was the obvious one for me. I also love property and so I love the concept. It just always made sense to me, always really resonated with me. Whereas stocks or had a really hard time understanding as a kid and I don’t really enjoy, I don’t enjoy not having that level of control. Maybe that’s why I love business and property because you get quite a good level of control across both of those. So those are my two investment vehicles that I’m focusing on. You need to find what’s best for you, so find the investment vehicles that you think are going to be best. And again, we live in abundance. There’s so many different ways to make this happen. Choose the one that’s best for you. Go after that. You can always change it at a later date if you want. Once you’ve chosen your investment vehicle, then it’s narrowing it down. Again. Let’s say you choose property, you’re happy in your job. You want to buy property and invest in order to achieve financial freedom. Then you look at the different property investment strategies. So there’s the buy and hold strategy. 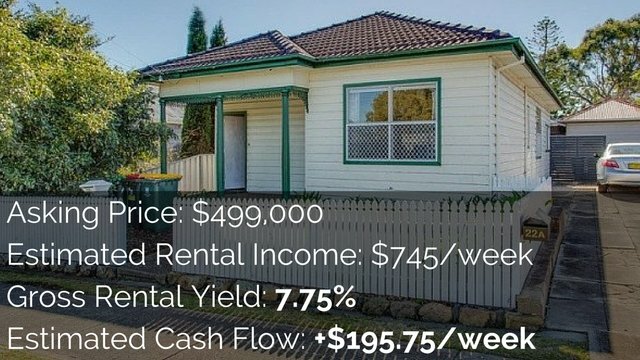 You can purchase positive cashflow property. 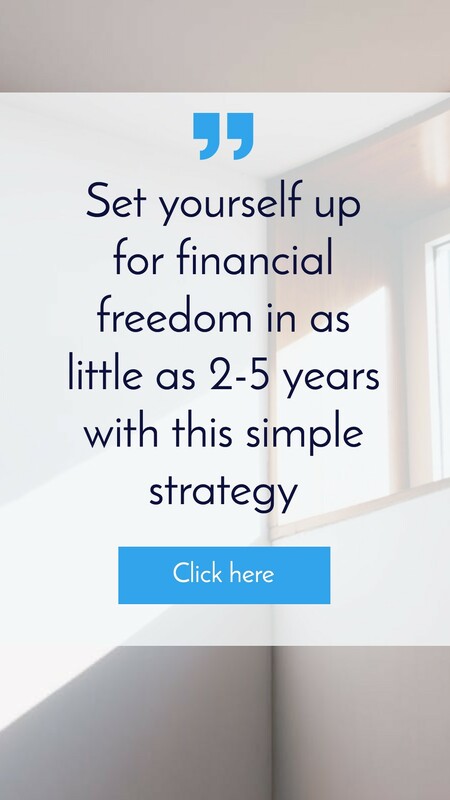 You can look at the two properties to financial freedom, which is basically a buy and hold strategy that’s just a little bit fancier. I’m kind of simple, are kind of fancier, uh, so very simple strategies like that where you purchase property, hold them, pay them off, and then live off the rental income. Or you can look at more advanced strategies like subdivision development, renovations. There’s different ways to make chunks of cash so you can look at different ways. Do you want to achieve financial freedom by having a simple portfolio of high quality properties that pay you rent? Or would you prefer to achieve financial freedom through doing something more active like renovation or development, getting chunks of cash and then using those chunks of cash to either purchase income producing properties or to purchase stocks or to put it in the bank or whatever it may be. So again, this is kind of an art form. It’s kind of looking at yourself to say what are you going to be most suited to? And that comes down to a bunch of different things. Like risk profile comes down to how much time you want to invest, how passionate about this iau. If you’re absolutely fascinated with building, if you love looking for opportunities and building properties, then development might be a great step for you, but if you’re passionate, you’ve you enjoy your job. You like spending time with your family, you’re passionate about playing super smash brothers melee or call of duty or football with your friends on the weekend or you’re passionate about going to the beach or helping out a local club. If they’re your passions and you just want to invest on the side that maybe a simpler strategy where you don’t need as many skills in order to achieve it, you don’t need to put as much time and attention into it might be better for you. So this is like getting that core strategy of Agan, do buy and hold. Are you going to do development is even going to be property or is it going to be stocks? So we start with our financial goal and what we want to achieve. We then look at, okay, what strategy is going to get me towards that financial goal? The next step is then to look at where you are now and what that you need to take to start moving towards that goal. So ben likes to start with this first, looking at where you are now, and I think logically, I totally agree with that. Actually looking at where you are now and what’s realistic for you is probably the best place to start, but I find that that’s not very motivating. It’s kind of boring and depressing to just look at your own situation where you are now without having your financial goal that you already have in mind and without having an idea of how you want to invest already in mind. So for me, this comes after that and the idea is you look at where you are now. You look at your financial situation, so look at your assets, look at your liabilities, look at your cash flow situation, look at where you’re spending money, and then we’re gonna. Start getting more realistic about what goal is going to be achievable for us. 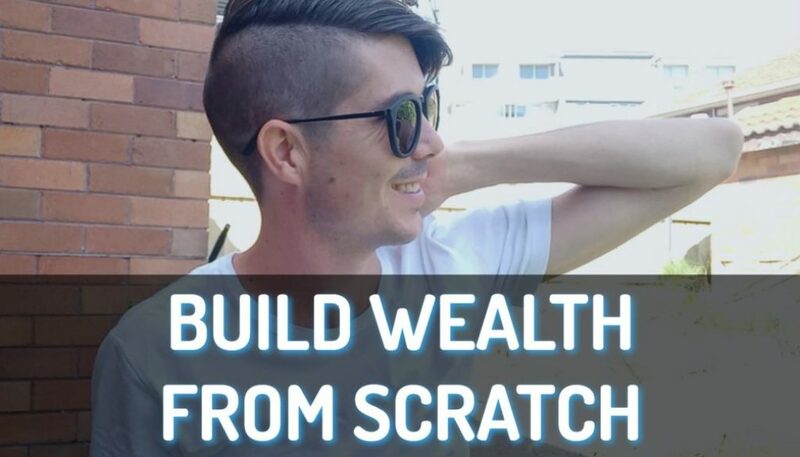 So maybe we set the lofty goal of we want to earn a million dollars per year in passive income and then we look at our current situation, we say, okay, well I’m a uni student working two days a week, earning $15,000 per year and I want to do it investing in property, not starting my businesses a million dollars per year in passive incomes, probably not the most realistic goal to start with. Maybe that’s something for the future. Why don’t we start by replacing my income of $15,000 a year or start by getting a full time job, you know, like start with something smaller. So look at your situation where you’re at now. Then also assess your goal that you set and think, okay, is it actually possible that I can use my strategy to get me from where I am now to where I want to be? But it is really important that you assess where you’re at now. And also assess what can you do to start implementing that strategy. So if your goal is, or if your strategy, sorry, is investing in property will then, uh, something that is required in order to do that is going to be a deposit. So if you’re in a situation where you have a car loan, you have lots of credit card debt, you’re spending more than you earn, where you’re not going to be able to save a deposit in order to invest. So looking at where you are now, you might need to make changes in your life so that you can start to implement the strategy. So the idea of looking at where you’re at now so you get a realistic view of where you are to assess whether or not your goals are going to be achievable. Maybe adjust those goals, but also looking at where you’re at now. You want to look for, okay, what changes do I need to make in order to be able to physically implement the strategy that I decided? 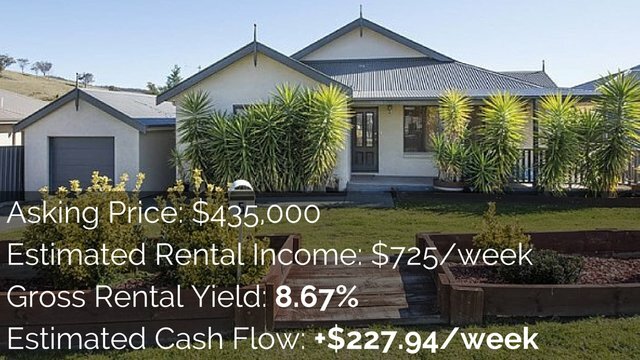 So if your strategy is that to property to financial freedom strategy, so purchasing to high quality properties, building to granny flats and then paying them off over time, you’re going to need some deposits in order to purchase those two properties. So you’re, you’re looking at your current situation now you’re gonna say what I need to change in my life so that I can save that deposit. So that might be and might be spending less than might be paying off debt, it might be starting a side hustle to earn more money or changing careers. You want to look at where you’re at now, what can I change so that I can implement my strategy? And then that’s kind of, that is I guess the bones of how to get started with a strategy. You might assess where you’re at now and realize that who you are and the situation that you’re in makes it really difficult for you. So for me, for example, I wanted to invest in property, um, but I looked at my current situation and I wasn’t really earning enough money. I think I was working a couple of days a week. My then wife at the time was working in couple of days a week and we enjoyed our lifestyle and I was passionate about business on the side. I looked at our situation and what we needed to do to implement the strategy, so our goal was to buy positive cash flow properties, achieved financial freedom that way. Looked at our current situation and said, okay, what changes do we need to make to implement our strategy of positive cash flow properties and the changes we needed to make was to both get full time permanent jobs to then save for a deposit, but also to be able to borrow money. So I looked at that, I saw that and thought, you know what? That doesn’t sound like much fun. I don’t want to do that. And so I actually changed my strategy at that point, which is totally fine to do. It’s totally fine to go through this process a few times and constantly be changing your goals, constantly be changing your strategy to you find one that works for you. So for me, I decided that rather than change, like our life and where we’re at now, I wanted to start my own business and I looked at, okay, I changed the strategy from investing in property to investing my time into starting businesses and I discovered ways to earn passive income online rather than investing in property. And so I’ve put all my focus and attention into that and was able to achieve financial freedom or what I call pseudo financial freedom at the age of 28. So 28. I had enough passive income online that I didn’t need to work for the next couple of years. I basically didn’t really work. And then around the age of 30 businesses went back a bit. Expenses went up when I went through a separation and you know, I wasn’t in that financial freedom situation anymore. But the idea here is that you look at your current situation, what do you need to do? And if you’re not willing to do that, then you need to pick a different strategy that lines up with what you are willing to do. So for me, my different strategy was to invest in business. It was something I was willing to do something I’ve put a lot of time and effort and money, money and energy and creativity in. I had a lot of failures along the way. It was really hard. I went through some really difficult times. Um, we, we did as a family Kelly as well. I could never have achieved any of this without her. Um, yeah. We focus on that and we made, we made it happen and so it’s not bad, but you need to change your strategy. It’s not bad that you’re not willing to do what needs to be done in order to implement a strategy that means that you need a different strategy or you need to change your goals. And so for me, the goal was still financial freedom. That didn’t change. The income level didn’t change by the strategy to get me there, did change. So when it comes to choosing the strategy that works best for you, I liked to go with this free flowing sort of art form as a way of creating a strategy, but that’s also centered in the numbers as well. So if you want to achieve a certain level of income, you need to work out how many properties do you need to own in order to earn that money or how many websites do you need to have and how much, how many websites, how much money those websites need to be making in order to achieve that. So it still needs to be based in the numbers and when you look at your current situation, how much you’re earning and what you need to change, then that’s going to be based on the numbers as well. Um, but yeah, being able to free flow, being able to move things around I think is really important because if you find the strategy that suits you, if you find a strategy that you’re passionate about, that you really enjoy, that you love. I truly believe that we are so powerful as human beings that our brain has so much capacity to solve problems and if we give it the right problem that we’re passionate about, then we can achieve almost anything. And so for me, when it came to online business, I was so passionate about it, like ridiculous. Like I would write blog posts on the train on the way to my nine to five jobs. So I was working a job. I actually ended up getting a permanent role anyway because kids, you need money to pay for kids, but also passionate about it that I was writing blog post on my way to work when I was a pharmaceutical rep driving to and from my territory. I listen to podcasts or making money online. Also passionate about it, put so much energy into it that I made it happen, but if I had chosen a strategy like investing in stocks that I’m just not interested in or passionate about, then I wouldn’t have put that time and effort and energy into it. And I really believe that doing that is the key. Because solving those problems, coming up with ideas, finding opportunities because you’re constantly thinking about it and looking at creative ways to do it. That’s what’s going to accelerate your journey. That’s what’s going to help you find those diamonds in the rough. That’s what’s going to help you do what needs to be done and be motivated enough to do the hard stuff that needs to be done to spend money that we didn’t really have on a business I thought would work that then failed and I had to come back from that. Go through those hard times and not give up. If you’re passionate about it, if you’re not passionate about it, you probably won’t. So there we go. Definitely mix my ideas with bends because this is just talking about how to create a high level strategy. Ben Goes into more detail property strategy specifically, so I think combining the two, again, I’ll link up to his video in the description down below so you can go ahead and check that out. Watch that as well. Get clear on your financial goals, get clear on the strategy that you want to implement in order to achieve those financial goals, and then assess where you’re at now and what changes do you need to make in order to implement that strategy in order to achieve those financial goals. And if you’re not willing to make the changes required to implement that strategy, then change the strategy. Okay, and then, or change your financial goals. So then the strategy changes so you can play with these sorts of things in your own life. Find the strategy that best suits you and then it’s all about getting passionate about it, implementing it, and doing the hard work that needs to be done in order to make that happen. I hope you enjoyed this episode. I really enjoyed making it and talking about this because I do see things in a different way and I think this is really gonna help a lot of people. So go ahead and do this activity. You can do it by yourself. You can do it with your partner or partners. Um, you know, you can do with your dog. You can do it in whatever way that suits you. Something to think about can be a lot of fun to do rather than watching Netflix and I, which I know is amazing. Apparently Harry Potter’s on Netflix now. I got to get into that instead of watching Netflix and I go ahead, spend some time thinking about that, this sort of stuff, or on the train on the way to work. So listening to music, think about this. Thank you so much for tuning in. I hope you go and do this. I hope that it changes your life. I hope that you can get clear on your strategy and while you’re here, go ahead and check out this video. 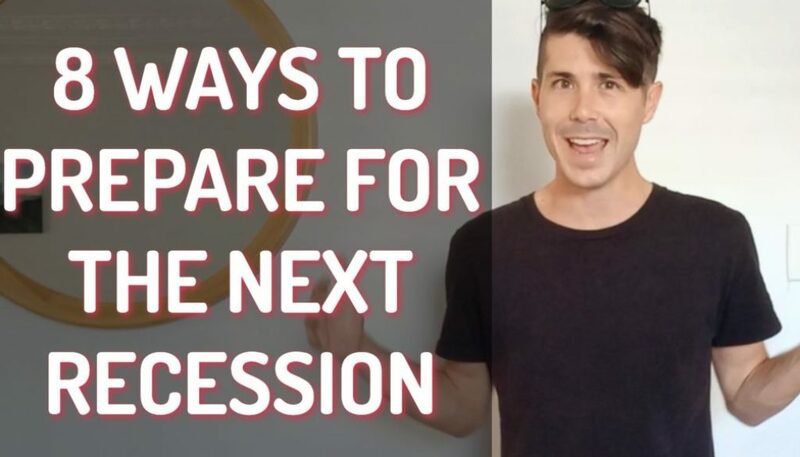 Me And ben did talking about property strategy for 2019 or go ahead and check out one of our quick money Monday videos, which I’m really enjoying making as well. Thanks so much for tuning in. Until next time, stay positive.